I’m John Mill, and after another long sleepless night in October 2016, I created a video about my idea to run a life coaching college; publish a book, and hire a mansion to host one of the biggest life changing events for the public. See here https://www.nonsuch.me/optin21762425 for more information about how things have changed, not just for me, but also for the public who attended my event – the transformation was massive! 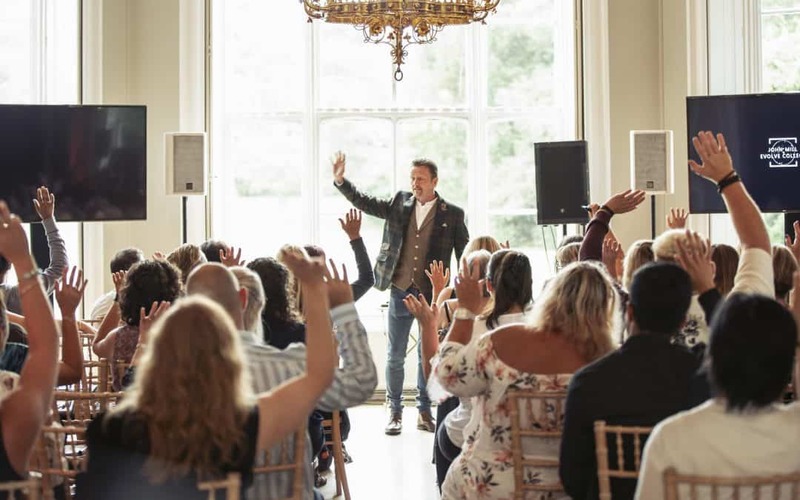 If you also want to experience phenomenal change, personally and or professionally, then join us 1st August 2019 GET YOUR £19 TICKETS HERE! you’ve got everything to gain and nothing to lose, it’s going to be masses of fun! John is also the founder of Evolve College with an IAPC&M accredited life coaching course https://coach-accreditation.services/directories/find-an-accredited-training-course/entry/175/ which helps everyday people transform into successful Certified Elite Life Coaches utilising coaching & counselling strategies and the incredible power of hypnotherapy.